PBS Development Services is proud to announce the results of the 2015 PBS Sponsorship Study: Audience Attitudes and Behaviors. The survey was designed to illuminate the myriad benefits of sponsoring on PBS and to paint a picture of PBS’ attentive and appealing viewership. The audience for this research is potential sponsors and brand/media agency representatives. The data should be used to inform sponsorship-related conversations at both local and national levels. For nonprofit fundraising professionals, calendar year-end is critical – up to 40 percent of individual giving occurs during the final months of the year. So development teams will go to great lengths to ensure fundraising channels are optimized for donations. PBS Digital and Development Services teamed up this past December to capitalize on PBS’ 17 million monthly unique visitors with holiday-themed donation promotions which ran on PBS.org as well as local and national COVE video portals. By using the automatic localization, prospective donors could be sent directly to local stations’ donation forms for increased local revenue. Digital tools provide endless amounts of information about media usage and look to answer questions like: What content are people watching on sites and apps? How many email blasts are opened? Does color of “donate” buttons make a difference in response rates? The trick is making sense of all this data – and using it smartly to achieve station goals. 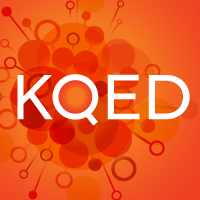 KQED is among a handful of stations figuring out those answers. We asked Andrew Alvarez, digital fundraising specialist at the station, to tell us about some of KQED’s efforts to apply digital tools to fundraising.